Consumerism affects our children daily. Parents expect to spend close to $1,000 on Christmas gifts for their children each year 1, and somehow the average shopper manages to rack up even more than that in holiday debt 2. We’re teaching our children that they deserve a big Christmas, and that presents come before financial responsibility, while neither are actually true. Our kids put a lot of emphasis on presents, because we put a lot of emphasis on presents, culturally. But there is a better way to think about gift giving, receiving presents and material entitlements. I’m not trying to convince you of anything; I’m merely showing a different side to such a commonly held belief. This is an area my wife and I have struggled with for years. Namely, teaching our children gratitude, while not giving them so much that it causes a sense of entitlement. In this article, I’ve laid out what we’ve tried, what we’ve learned, and what we’re still learning every day. Our kids aren’t allowed to ask for anything in stores. It got out of control. They were asking for everything. Things they wanted, and things they didn’t even care about, but just “needed” to have. So we cut them off. Our children are free to have open discussions about things they may get later on—as a present or by saving their own money—but they will not be leaving the store with something that we didn’t intend to buy before we walked in. We try to carry this idea over to gift giving. We don’t want our kids to grow up expecting presents for every occasion, and connecting material possessions to the holiday season. We still give gifts in our home, but we have dumped the traditional idea of gift giving. The average American child receives 70 new toys per year 3. 70? We may be going a bit overboard as a country. You know your kids already have too many toys. All of our children do. Even though it’s been proven that kids are happier with fewer toys 4, parents are still trying to buy happiness for their kids with more. It’s counterproductive. Of course, we don’t need science to tell us that too many toys are affecting your child’s ability to play. We’ve all heard “I have nothing to play with” while we’re staring at overflowing toy boxes. 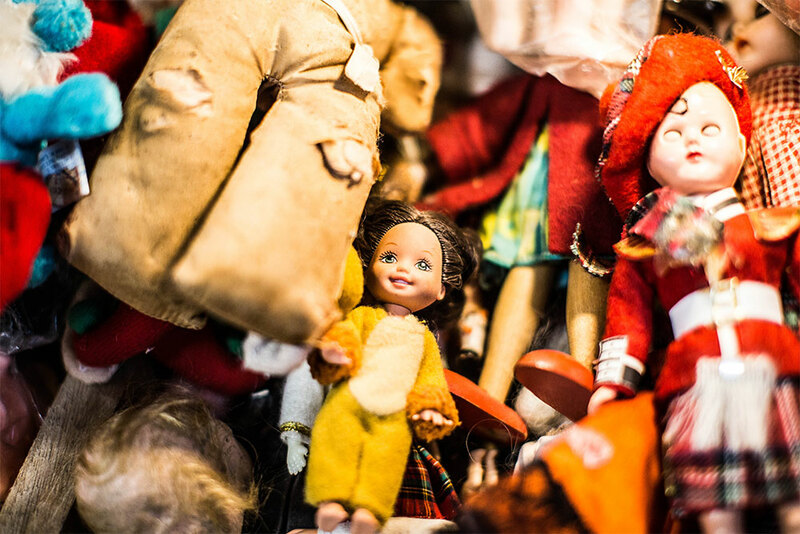 The project, “Der Spielzeugfreie Kindergarten,” or in English, “the nursery without toys,” actually took away all the toys in an entire nursery 5. When Rainer Strick and Elke Schubert founded this project, they said it didn’t take long for the children to use their creative abilities to make their own fun. While it took a few weeks for the kids to get used to the idea, the children were reportedly happier after the toys were gone. Ruth, from Living Well Spending Less, took all of her children’s toys away and saw almost immediate benefits. She got a lot of backlash in the comments on her blog, but from what I saw, it seemed like the negative comments were mostly from parents trying to justify all of the money they spent on their own children’s toys. I’m not saying you should get rid of every toy in your house, but it’s eye opening, and it’s always something to consider. It’s experiments like this that can really show us how caught up in consumerism we are, especially if our immediate responses is to feel bad for the children. It’s not that they don’t have anything to play with; it’s simply that they don’t have any store-bought, commercialized toys in their house. There are still so many ways [and things with which] to play. Probably better options. Our family doesn’t do typicaly birthday parties. We’ve done them in the past, and finally decided that they weren’t for us. In our conversations with other parents, we’ve noticed that a lot of them just do birthday parties because they think they’re “supposed to,” or because they grew up doing them. It’s always good to question things that we’ve simply “always done,” but admittedly, it’s difficult to think to question something that you have always assumed was a normal part of life. The grandparents typically put some money in the children’s college funds, and they’ll give them some spending money as well. That’s what we do, but that may not work for you. Fiver parties are another popular alternative to traditional birthday parties. I wanted to briefly touch on Fiver Parties. It’s a new trend. I think it’s a great idea for reducing clutter, and it makes more sense financially for everyone involved. You don’t end up with a bunch of small toys your child doesn’t need, and a few days (hours? minutes?) later, doesn’t really want. As parents, we’re not obligated to get our children any physical gifts. If you like the idea of gifts at birthday parties, fiver parties could work for you. Now let’s talk about where the big bucks are spent: Christmas gifts. I love Christmas. It’s my favorite time of the year, but I can stress a little too much over the new clutter that’s expected each year. I know it’s coming. Or at least, it will try to make its way into our home. We would all agree that Christmas time is more about spending time together than receiving presents. Of course, marketing companies would disagree. And we may say that we feel like time together is more important, while our [and our children’s] actions show that we think the opposite. 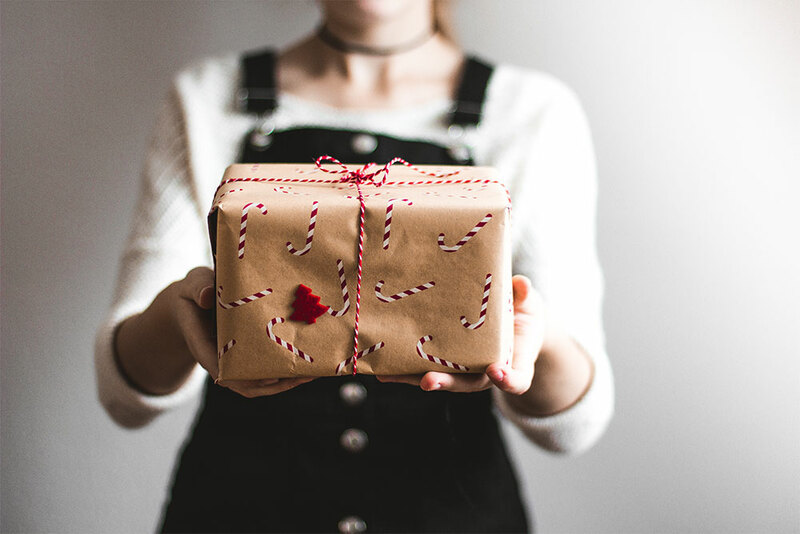 Joshua Becker, of Becoming Minimalist, gives some great insight on how gift giving has gotten out of control. Instead of stealing all of his sources, I want to give him the credit for compiling these statistics 7. Whenever I speak on minimalism and take questions afterward, the two most common questions are 1) How do I implement minimalism in a family? And 2) How do I handle and/or tell loved ones to stop giving me so many gifts? I think Joshua hit the nail on the head. Gift giving feels like a loving act, and it may come from the heart, but it’s causing problems as a whole. For a consumeristic society, gift giving is almost harmful. Many celebrities are starting to advocate the idea of giving little to no gifts to their children at Christmas time. I’m not saying I agree with all the reasons celebrities are doing it, but one couple did stand out to me in my research for this article. 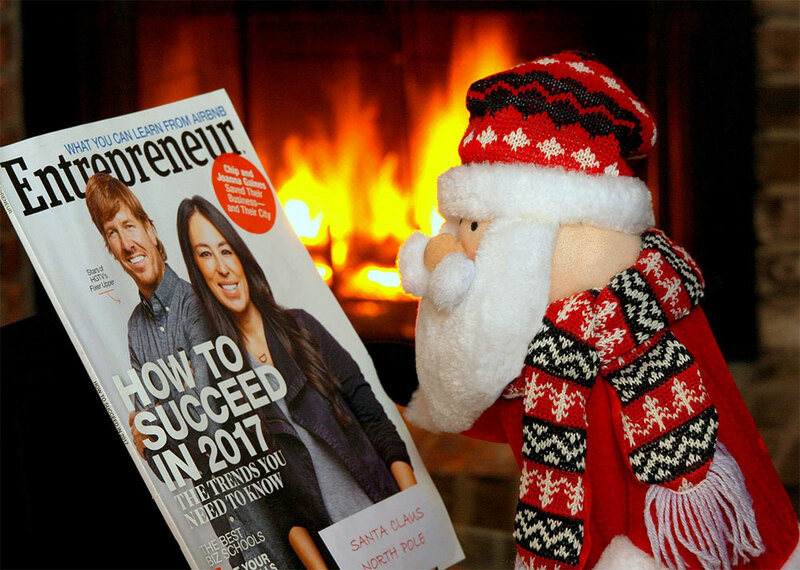 Chip and Joanna Gaines, HGTV stars, said that they have their kids pick out presents to give to children in struggling families 14, where the presents likely mean a lot more. I love that, and I think this habit would benefit all of our children more than receiving a mountain of presents ever would. I couldn’t resist that heading… but seriously, giving the gift of being there is more important to your kids than material presents, whether they realize it or not in the moment. Vacation – Instead of spending hundreds of dollars on presents for your children, consider taking them on a family vacation. It gets you away from work to spend time with your family, and you’ll make some of the best memories. If you don’t take an annual vacation, the money you’ve been spending on presents may just be the funding you need. Daddy/Mommy Dates – We like to do these regularly. If you don’t do these at all, they’re an amazing opportunity to connect with your kids individually, especially if you have several children. If you do these on a normal basis, consider having special full days together with each of your children. This may require you to take a day off work, but it’s worth it. Volunteer – This could be the most life-changing thing on here. Around Christmas time especially, if you go with your kids to volunteer at a homeless shelter, soup kitchen, or elsewhere, they will get to spend time with you, and give to others. I think it’s important to branch out on this one. If you serve at your local church all the time, consider finding a new outlet for this special occasion. We always prefer to give experiences instead of products. If you still decide to give physical presents, consider the long-term cost (read: clutter) of the things you buy. Is it worth making little Bobby happy, for a few minutes in front of the Christmas tree, to have to deal with that giant race car for years to come? There’s a good chance Bobby won’t even remember he has that race car next year, but you’ll be staring at it for a while. Note on Grandparents: If you’re running into issues with grandparents buying your kids way too much stuff, have a conversation with them. Show them some of the ideas below and above to give non-material gifts. This is a common issue, but it’s fixable with a simple conversation. If you are a grandparent, take these things into consideration for your children. After all of this, that is still the question. 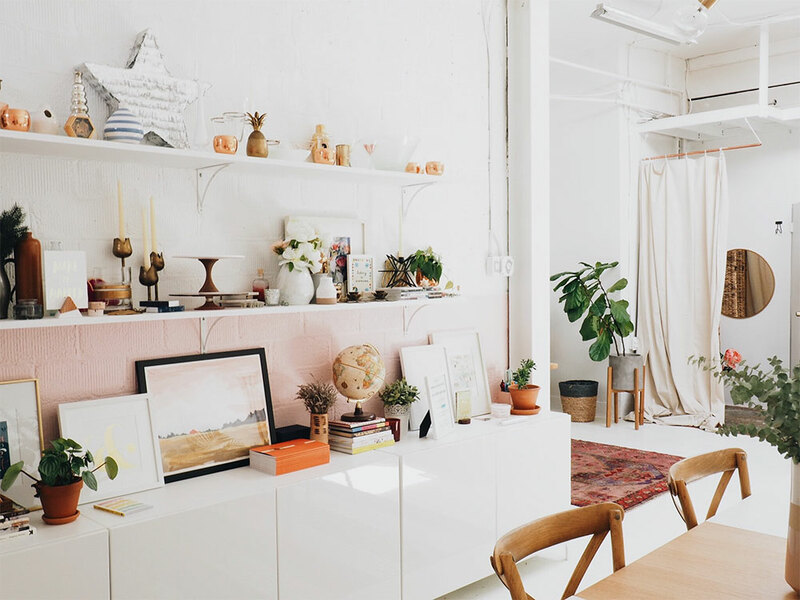 Even if you’re a phenomenal gift giver, there’s still a chance that someone won’t like the gift, and then they’ll feel obligated to keep it, which leads to a cluttered home. Think about the clutter in your home. How much of the random stuff is there because someone special bought it for you and you just can’t give it away? Consider giving, instead of getting. And get your kids on board. You’ve seen the Facebook requests: “John is giving to [insert charity here] to celebrate his birthday. Give now.” Here’s a real-life example of how it plays out when someone decides to give (and not get anything) for Christmas, and I love it. As with everything on this blog, it all comes back to being intentional. Intentional parenting. Intentional giving. Intentional living. If you’re intentional in all you do, all you do will be blessed. Joan Lunden, former co-host of ABC’s Good Morning America, says, “We give promissory notes for kindnesses we’re happy to provide.” She goes on to explain how others could do the same: “Bosses could bring in a fitness instructor or massage therapist to the office… the gift of health to their employees.” 17 It’s intentional, thoughtful, and it doesn’t involve buying more stuff. The same school of thought can be applied to any business or home. I want to leave you with some ideas for giving without buying physical things that will clutter someone’s home. We already talked about some of these above, but this is a more exhaustive list. Vouchers for things like massages, car washes, house cleaning, landscaping… anything you could think of that would help someone out for a day. The voucher could be from a company, or a homemade voucher for you to perform the service. Plan a day trip together. Your children, parents, other family, or friends would really appreciate this. It could be a day hike, kayaking trip, visit to a new city, or anything else you can think up. Consumables like baked goods, fruit baskets, flowers, candy or anything that won’t be in the home for long. Volunteer as a family, or group of friends, at a local homeless shelter, soup kitchen, or any unique volunteer opportunities in your town. Buy a gym membership or personal trainer for a certain time period. Create an online scrapbook. There are too many services to list, but find one that works for you. Upload your family photos, and share them with your family and friends. Allow them to upload photos too, and it becomes a gift for everyone. Ask people to donate to your favorite charity, or to your local church, instead of buying you something. Do this for others as well. It just takes a little prodding to figure out where your family and friends would love to see money applied. Try to figure it out inconspicuously so it’s a big surprise. Buy a subscription like Audible or Spotify for however long you see fit. If they’re already subscribed, pay for a set amount of time. You can take those ideas and stretch them to hundreds of options. I think we’d all be better off if we gave more more time, and less things. What do you do for birthdays in your home? What does gift giving look like for your home? Saad, L. (2018, October 24). Americans in the Mood to Spend This Holiday Season. Gallup. Paul, K. (2017, December 29). Here’s how long it will take Americans to pay off their Christmas debt. MarketWatch. Tuttle, B. (2009, July 9). Baby Hand-Me-Downs Are Suddenly Trendy. Time. Dauch, Imwalle, Ocasio, Metz. (2017, November 5). The influence of the number of toys in the environment on toddler’s play. Science Direct. Jewell, S. (1999, November 11). 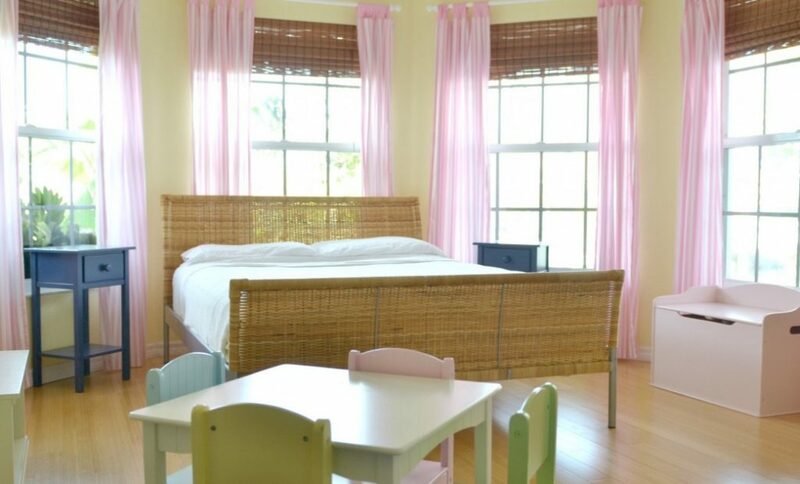 The nursery that took all the children’s toys away. Independent. Hallowes, L. (2018, August 3). The new birthday party trend that makes SO much sense. Babyology. Becker, J. (2018, November 23). Is It Times for Us to Rethink How We Give Gifts? Becoming Minimalist. Grant, K. (2018, November 20). If you’re still dealing with holiday debt, there’s no need to be Scrooge. CNBC. Martin, E. (2017, November 17). An alarming number of shoppers are still paying off debt from last Christmas. CNBC Money. Magnify Money Staff. (2017, December 28). Americans With Holiday Debt Added an Average of $1,054, a 5% Increase From 2016. Magnify Money. Finder Staff. (2018). Christmas gift confessions 2018. Finder. The Week Staff. (2014, December 20). A brief history of the Christmas present. The Week. Pham, J. (2018). 10 Celebrity Parents Who Don’t Believe in Giving Their Kids Presents. StyleCaster. SunTrust Banks, Inc. (2017, November 8). 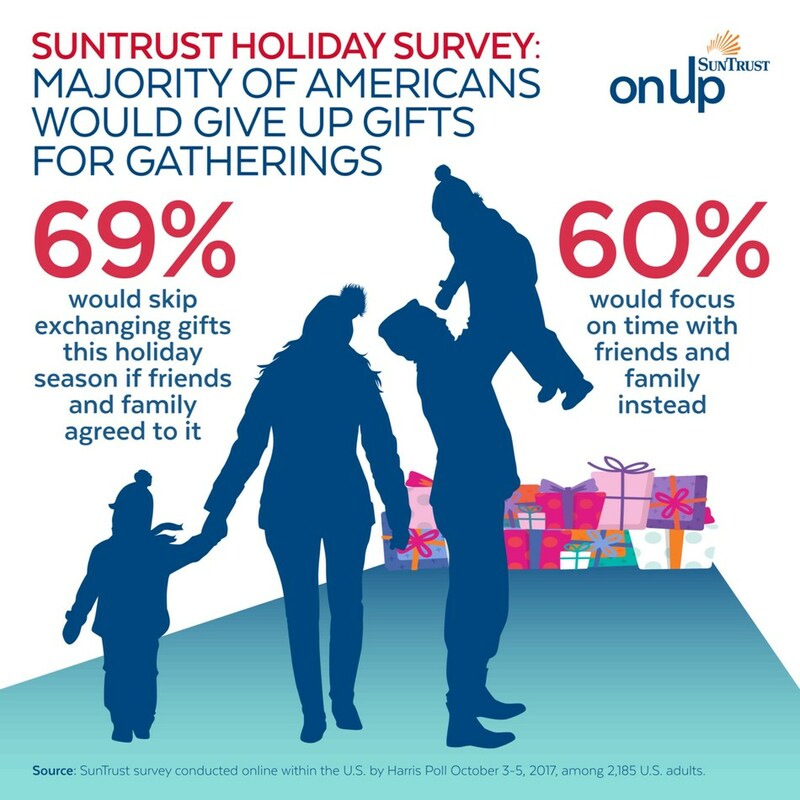 SunTrust Holiday Survey: Majority of Americans Would Give Up Gifts for Gatherings. PR Newswire. Waldfogel, J. (2009, December 8). You Shouldn’t Have. Slate. Guillen, M. (2017, November 27). Why I Don’t Give Christmas Gifts. Fox News. A big thank you to Zen Habit’s Holiday Gift Guide for some of those ideas. As far toys, my parents didn’t go crazy or anything but I definitely had too many (mainly stuffed animals but also Barbies, Tinker Toys, etc.) but I did my best to play with all of them because I knew I needed to appreciate each one and felt bad if I let any one of them languish for too long. Which is a lot of guilt for a little kid to be taking on and can’t have been healthy. Besides, I also liked to stick my feet in my mom’s round laundry basket, grip the sides and pretend I was driving a car. One friend’s toddler could be entertained endlessly by playing with pots and pans. So kids can find play anywhere like the study found. I hope all has been well with you! 🙂 So true! I remember one of my daughter’s first Christmases; she had so many things to open (similar to the story you mentioned) that she actually got bored and tired of opening presents. That was eye opening for us as parents.